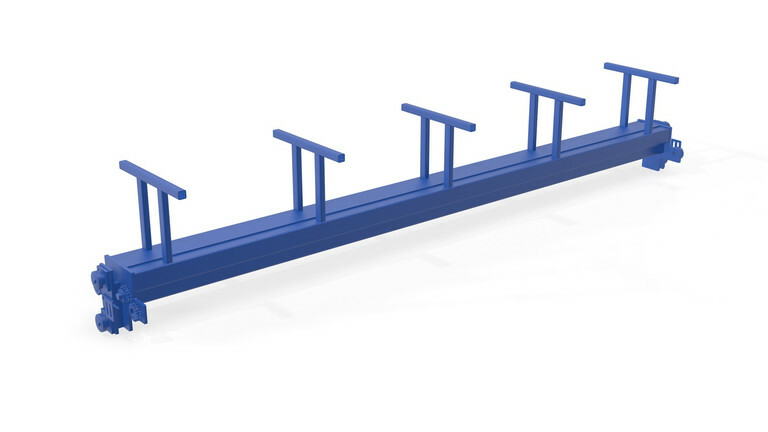 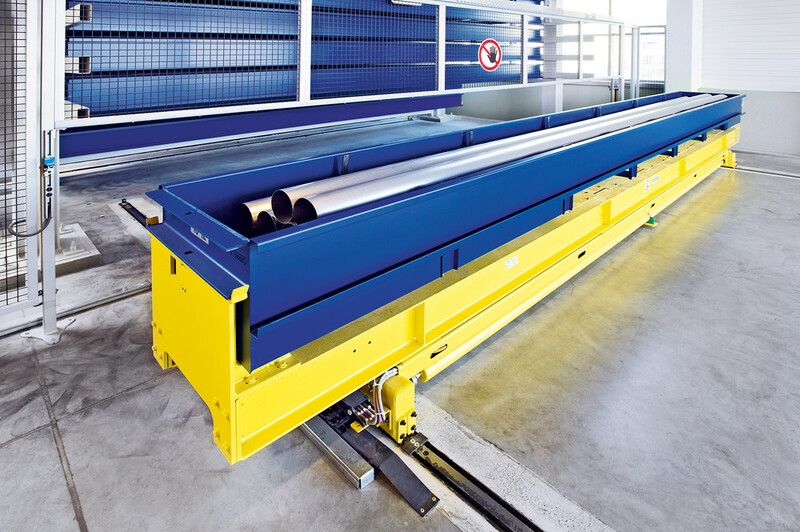 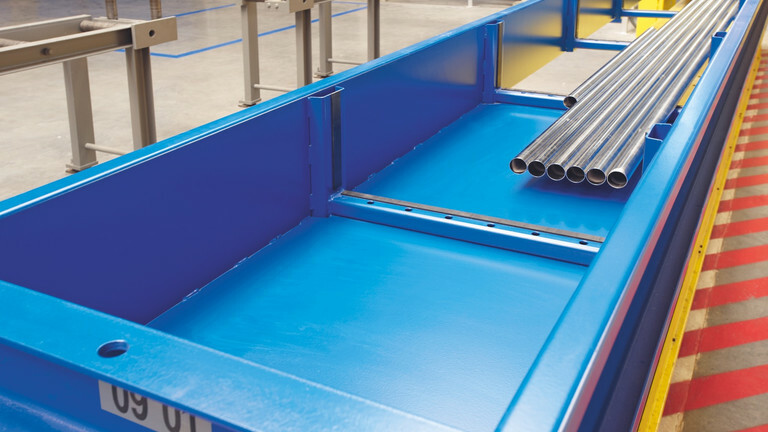 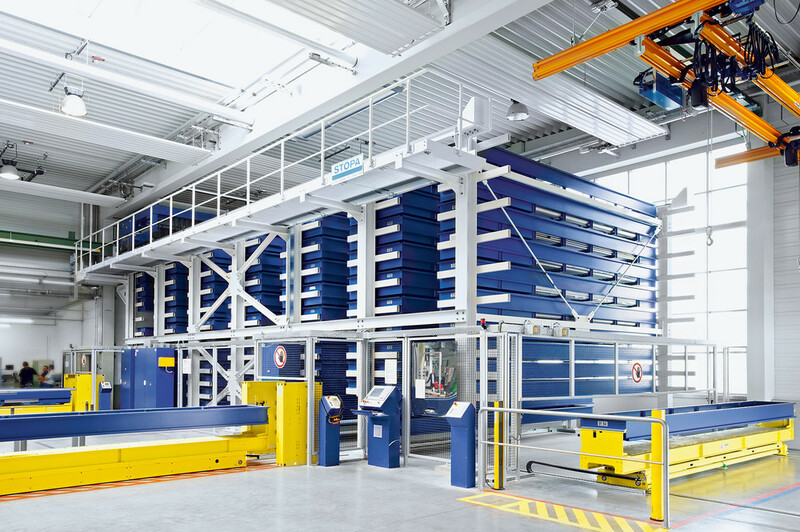 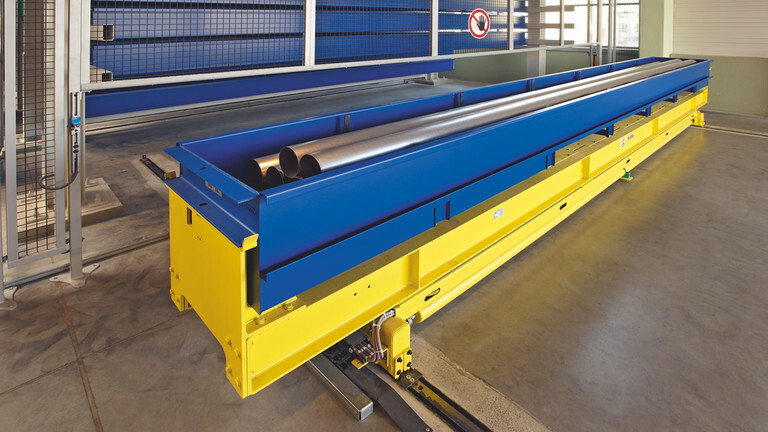 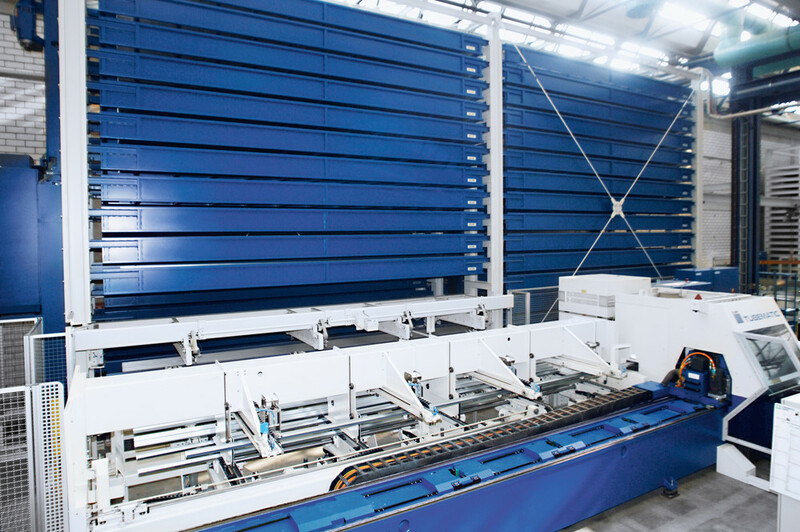 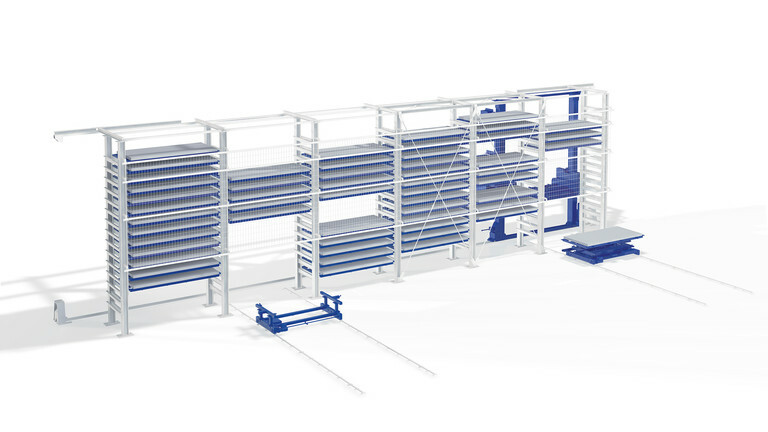 The LG-T Tower Shelving System for Long-Span Goods is used for the efficient shelving of beam-shaped materials having a length of up to 6,400 mm. 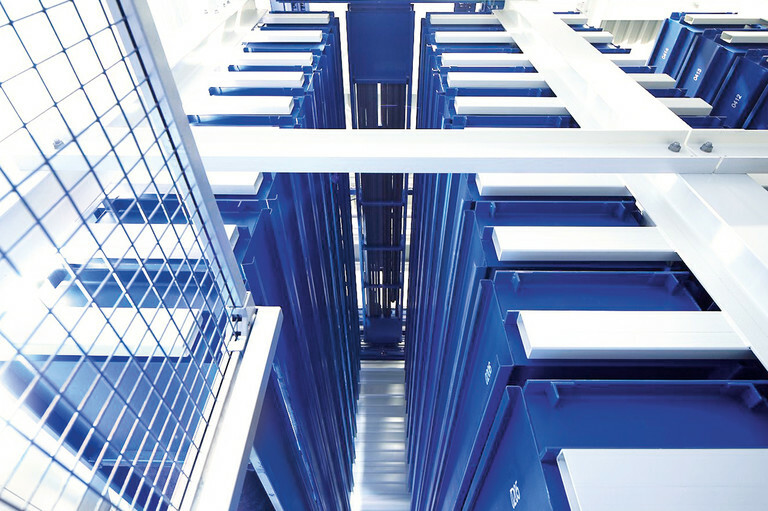 The material is stored in cassettes. 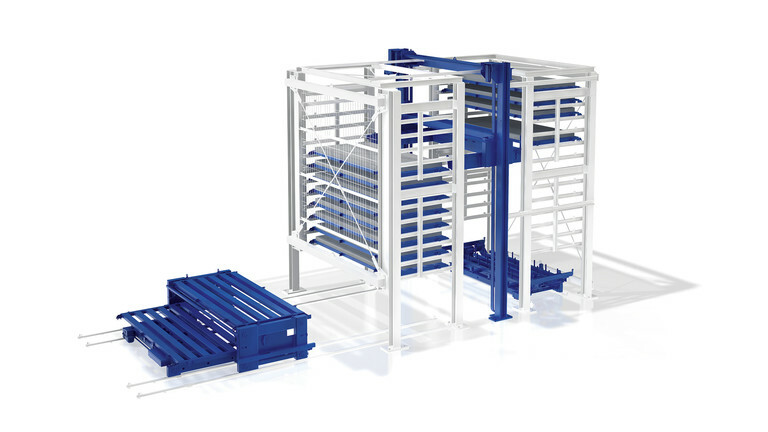 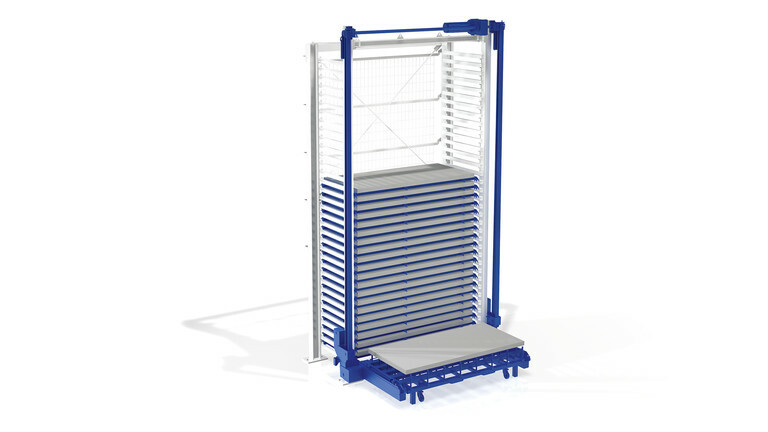 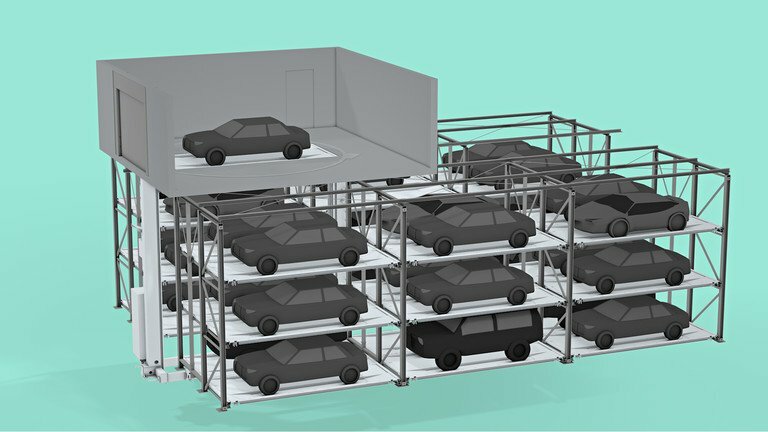 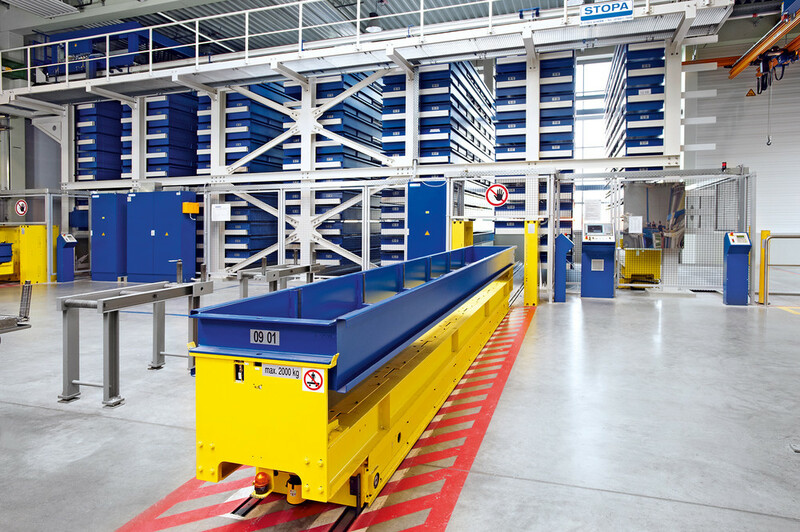 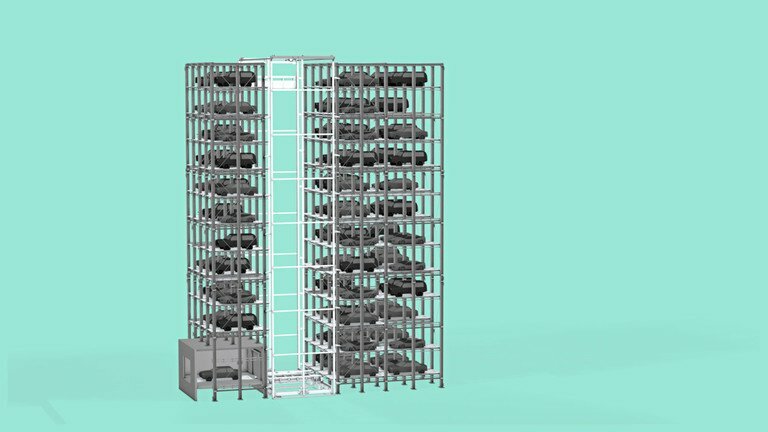 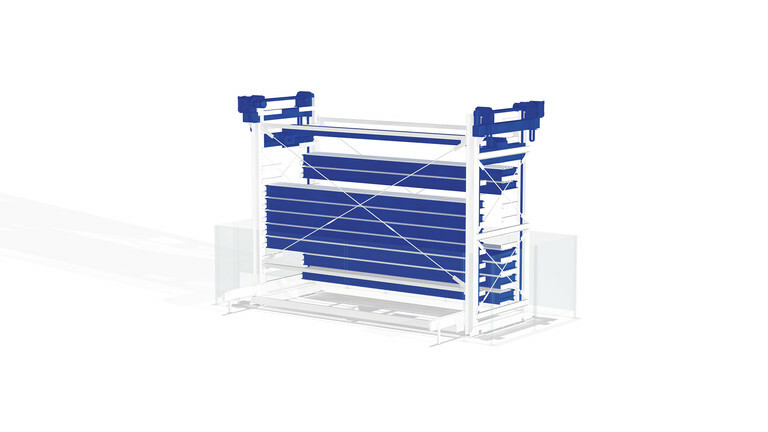 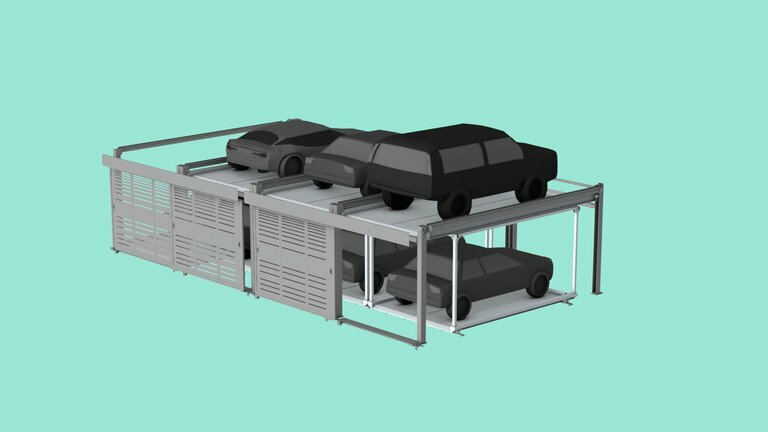 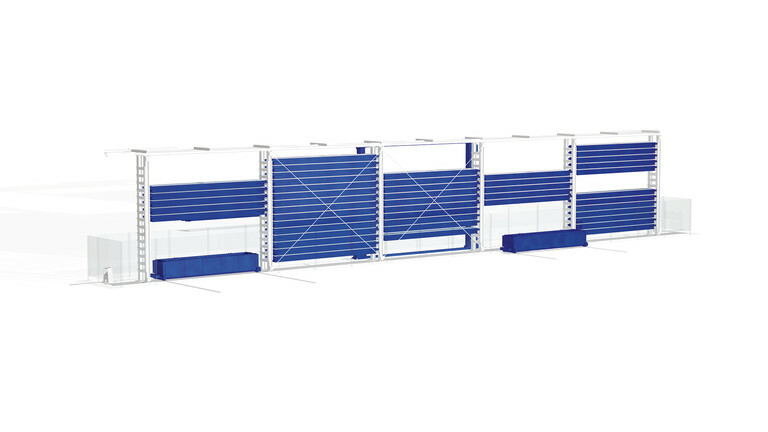 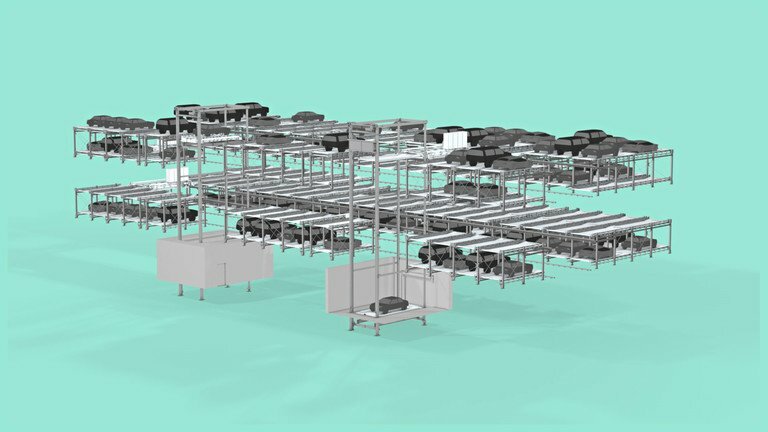 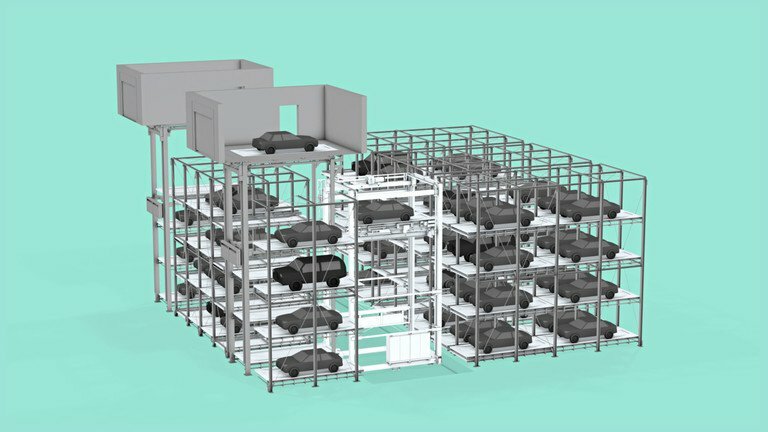 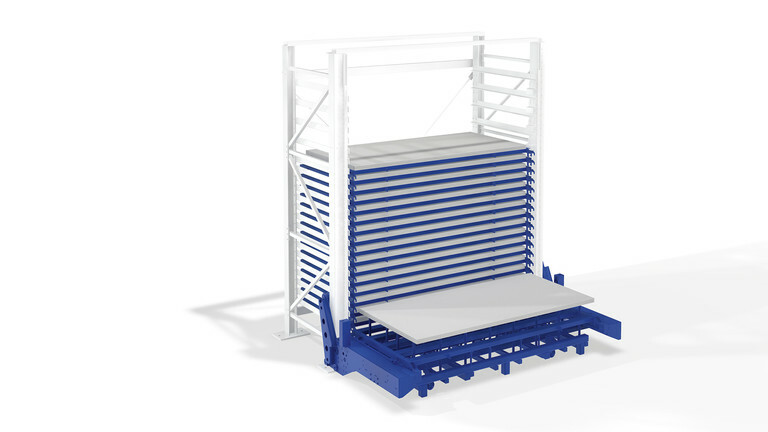 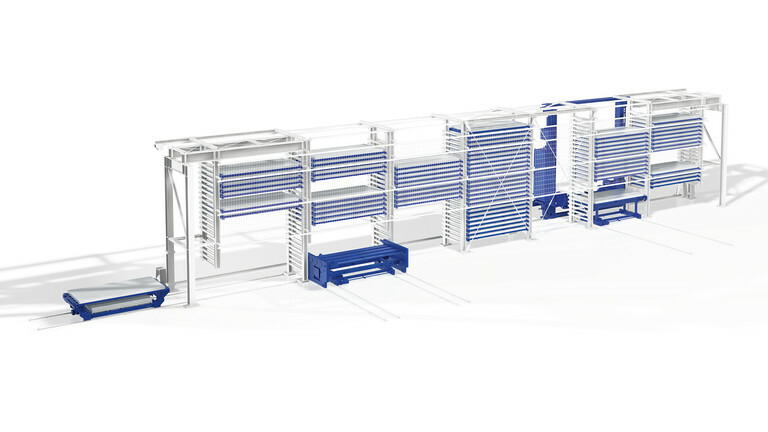 The storage system's compact design – available as a self-supporting model and with building support – represents an optimized relation between storage capacity and space requirements. 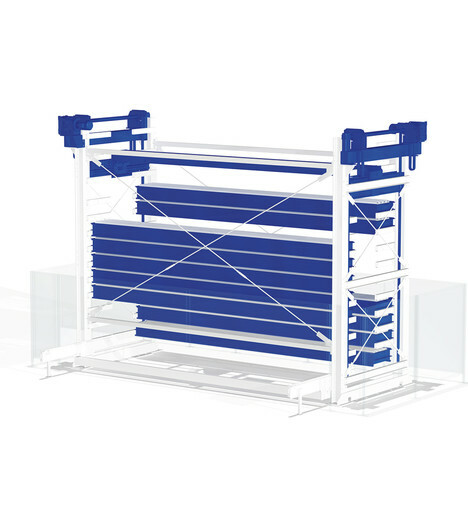 As an entry-level installation, the system can be set up as a single or dual tower. 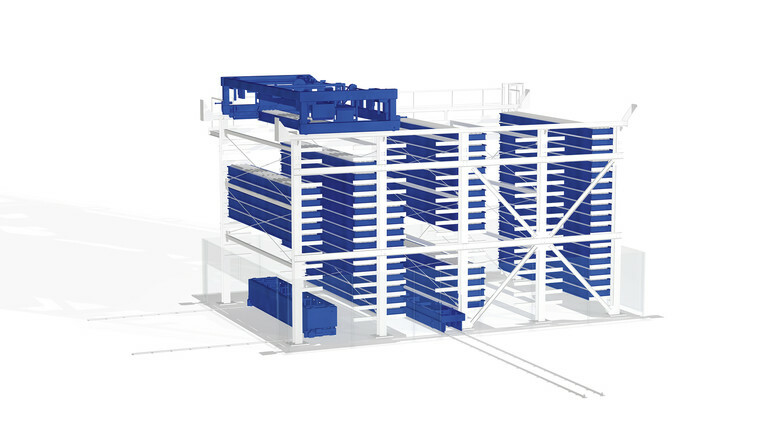 The second tower can be added retroactively. 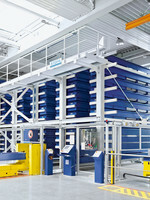 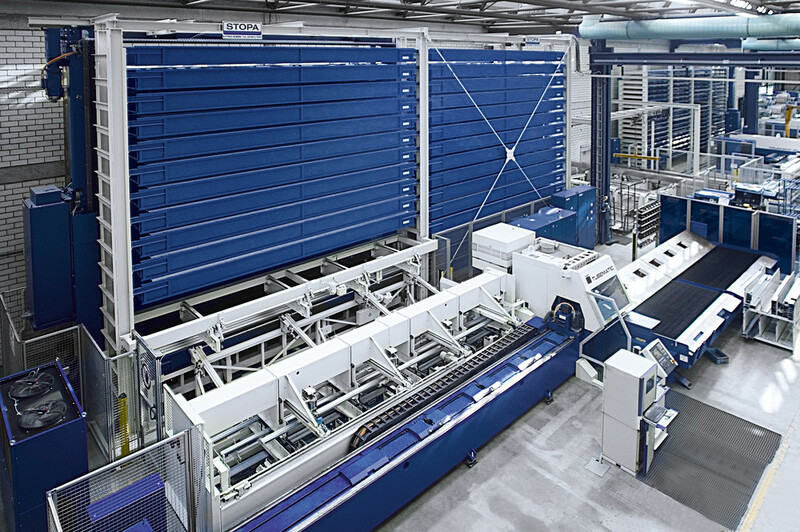 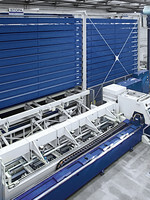 Depending upon the given production concept, several upstream machines can be provisioned using by loading and unloading stations.